If you are unsure about what a certain menu item is in the Top menu or the function of a specific preference in the Preferences panel, use the Integrated Help. If you keep the Integrated Help window open for the entire duration of your work session, then you can use the forward and backward arrows to scroll through a history of the help information that you called up during your session. In the top menu, go to Help > Show What's This or press F1 on Windows/Linux or ⌘ + / on macOS. 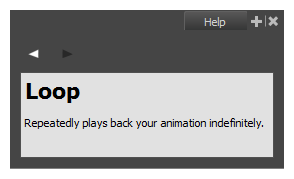 The Integrated Help window appears. In the top menu, click on a menu heading to display its contents. 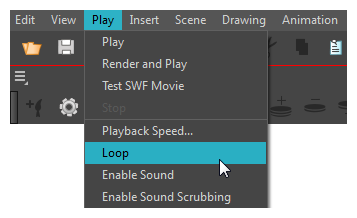 Use your mouse to hover over a menu item. Press F1 on Windows/Linux or ⌘ + / on macOS. 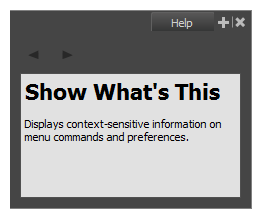 In the Integrated Help window, a description of the menu item appears. In the top menu, go to Edit > Preferences (Windows/Linux) or Harmony > Preferences (macOS). 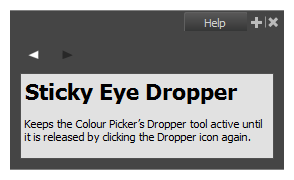 In the Preferences window, use your mouse to hover over a preference. In the Integrated Help window, a description of the preference appears. In the Integrated Help window, click on the forward or backward arrow buttons. NOTE The moment you close the Integrated Help window all searched items will be erased from the memory bank. In order to keep an on-going record of all the search requests made, you must keep the window open.